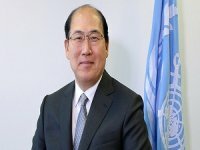 IMO says that its Marine Environment Protection Committee (MEPC) "made progress on a packed agenda" when it met earlier this month. It agreed to commission a study into the impact of proposed measures to reduce air pollution from ships, developed a proposed Ship Recycling Convention, discussed issues relating to the implementation of the 2004 Ballast Water Management Convention and adopted a number of amendments to the MARPOL Convention. Prevention of air pollution from ships: The air pollution study, by an informal cross government/industry scientific group of experts, will review the impact on the environment, on human health and on the shipping and petroleum industries, of applying any of the proposed fuel options to reduce SOx and particulate matter generated by shipping and the impact such fuel options could have on other emissions, including CO2 emissions from ships and refineries, taking into account the availability of CO2 abatement technologies. 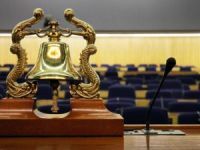 The study group has already begun its work with a view to reporting to the twelfth session of IMO's Sub-Committee on Bulk Liquids and Gases (BLG) in February 2008 and the MEPC in March-April 2008. The MEPC working group on air pollution continued work on reviewing MARPOL Annex VI and the NOx Technical Code, following the April 2007 session of the BLG Sub-Committee, which developed a number of options for revising the regulations in relation to the emissions of NOx, SOx, volatile organic compounds and particulate matter. BLG 12 is expected to finalize the preparation of draft amendments to MARPOL Annex VI, taking into account the report of the aforementioned scientific study. The aim is to have the draft amendments approved at MEPC 57, in the Spring of 2008, and to adopt them at MEPC 58, in the Autumn of 2008. 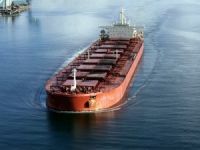 The amendments to MARPOL Annex VI could then enter into force 16 months after adoption, in accordance with the tacit acceptance procedure stipulated in Article 16 of the MARPOL Convention. Ships' fuel sulfur content continues downward trend MEPC noted the results of the ships' fuel sulfur monitoring program for 2006. It revealed the average sulfur content for the year was 2.59%, a reduction from the 2005 average of 2.70%. The three year (2004-2006) rolling average was 2.66%, a slight reduction from the previous year's rolling average of 2.70%. Update of the 2000 IMO Greenhouse Gas (GHG) Study The MEPC confirmed the need to update the 2000 IMO GHG Study, and agreed a timeframe, scope and terms of reference for the update. The study, it agreed, should cover current global inventories of GHGs and relevant substances emitted from ships engaged in international transport; any methodological aspects and future emission scenarios; identify progress made to date in reducing GHG emissions and other substances; identify possible future measures to reduce emissions of GHGs and undertake a cost benefit analysis, including environmental and public health impacts, of options for current and future reductions in GHG emissions and other relevant substances from international shipping. Finally, it should identify the impact of emissions from shipping on climate change. The aim is to submit the updated study to the 59th session of the MEPC. Meanwhile, the MEPC established an Intersessional Correspondence Group on GHG Related Issues to discuss and compile possible approaches on technical, operational and market based measures to address GHG emissions from ships and present a written report to MEPC 57. 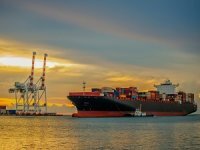 Recycling of ships The MEPC considered further the draft text of a new convention to provide globally applicable ship recycling regulations for international shipping and for recycling activities. The aim is to complete the draft convention in time for its final consideration and adoption by a diplomatic conference, possibly in April 2009.
the establishment of an appropriate enforcement mechanism for ship recycling, incorporating certification and reporting requirements. 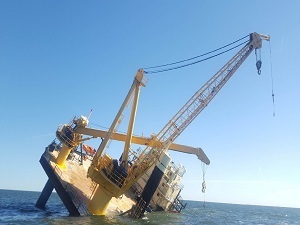 The Committee agreed to a third intersessional meeting of the Working Group on Ship Recycling, prior to MEPC 57, in order to facilitate the finalization of the draft text of the Convention in good time for it to be circulated for the diplomatic conference planned for the 2008-2009 biennium. The Committee accepted, with appreciation, the offer of France to host the meeting, with a tentative date of January 2008. The MEPC also agreed on the need for a further (third) session of the Joint ILO/IMO/BC (Basel Convention) Working Group on Ship Scrapping and invited ILO to consider convening the meeting in Geneva, probably in 2008. 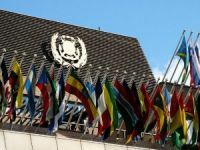 The MEPC noted that it would be important to include on the agenda discussion of joint technical co-operation activities and a coordinated approach to interim measures to be taken pending entry into force of the new IMO Convention. An amendment to MARPOL Annex I (Regulations for the prevention of pollution by oil from ships) to include in regulation 38.2.5, on Reception facilities outside Special Areas, mention of the obligation to provide facilities in respect of oily mixtures from cargo areas of oil tankers, by referencing regulation 34 on discharge requirements from those cargo areas. An amendment to MARPOL Annex IV (Regulations for the prevention of pollution by sewage from ships) to include in regulation 11.1.1, on the requirements for discharge of sewage into the sea, the phrase "or sewage originating from spaces containing living animals". The amendment makes clear that animal effluent shall be discharged into the sea, not instantaneously, but at a moderate rate, as is currently the requirement for the discharge of untreated sewage from holding tanks. Both amendments are expected to enter into force on 1 December 2008. Amendments to the IBC Code The Committee also adopted amendments to the International Code for the Construction and Equipment of Ships Carrying Dangerous Chemicals in Bulk (IBC Code), relating to chapter 11 (fire protection and fire extinction), and chapters 17 (Summary of minimum requirements), 18 (List of products to which the code does not apply) and 19 (Index of Products Carried in Bulk). 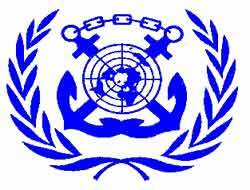 The amendments were adopted by the Maritime Safety Committee (MSC) at its 82nd session in December 2006. Both the SOLAS and the MARPOL Conventions make the IBC Code mandatory, so amendments to the IBC Code have to be adopted by both Committees. The amendments are expected to enter into force on 1 January 2009. Amendments to the Intervention Protocol The MEPC also adopted amendments to the Protocol relating to Intervention on the High Seas in Cases of Pollution by Substances other than Oil, 1973, relating to the revised list of substances to which the Protocol applies, to take account of the revised MARPOL Annex II classification of noxious liquid substances. Gulfs area Special Area from 1 August 2008 The Committee adopted a resolution setting a date of 1 August 2008 for the discharge requirements in "the Gulfs area" (a Special Area under MARPOL Annexes I and V) to take effect. The area was established as a Special Area in 1973, when the Convention was adopted, but the discharge requirements therein could not take effect until States in the area had ratified the Convention and provided adequate reception facilities. Following a 10-year regional project on the implementation of MARPOL, organized and administrated by ROPME/MEMAC , with support form IMO's technical co-operation programme, all the States in "the Gulfs area" have now ratified MARPOL and have provided adequate reception and treatment facilities for Annex I and Annex V ship-generated wastes in ports, terminals and ship repair ports in the area. Southern South African waters Special Area to take effect on 1 August 2008 The MEPC also adopted a resolution establishing 1 August 2008 as the date on which the discharge requirements shall take effect for the Southern South African waters Special Area under MARPOL Annex I. Harmful aquatic organisms in ballast water The Committee learnt that, since its previous session, four more States (Barbados, Egypt, Kiribati and Norway) had ratified the International Convention for the Control and Management of Ships' Ballast Water and Sediments (BWM Convention), adopted in February 2004, bringing the total number of contracting Governments to 10 (joining the Maldives, Nigeria, Saint Kitts and Nevis, Spain, Syrian Arab Republic and Tuvalu). Together, the ten represent 3.42 per cent of the world merchant fleet's gross shipping tonnage, against an entry-into-force requirement of ratification by 30 States representing 35 per cent of world tonnage. Bearing in mind the emphasis the international community places on the issue of invasive species in ships' ballast water, the Committee urged other States to ratify the Convention at the earliest opportunity. The MEPC adopted guidelines for additional measures regarding ballast water management, including emergency situations (G13) and for risk assessment under regulation A-4 of the BWM Convention (G7). Both are part of a series developed to assist in the implementation of BWM Convention. A set of guidelines for ballast water exchange in the Antarctic Treaty area was also adopted. This raises the number of Guidelines adopted in connection with the BWM Convention to 14. 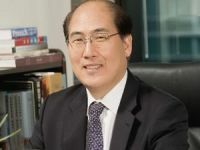 The MEPC agreed to give both basic and final approval to the PureBallast system (proposed by Sweden and Norway) and basic approval to the NK Ballast Water (Republic of Korea), after consideration of the report of the third meeting of the GESAMP Ballast Water Working Group, which met in February 2007. The Ballast Water Review Group reconvened during the session to evaluate the latest information on ballast water treatment technologies and to determine whether appropriate technologies are available to achieve the ballast water performance standard required under regulation D-2 of the BWM Convention. The MEPC invited further submissions on the issue to the next session and also agreed to establish a Ballast Water Working Group at BLG 12. Particularly Sensitive Sea Areas The Committee agreed to designate, in principle, the Papah naumoku kea Marine National Monument (in the North-Western Hawaiian Islands or NWHI), an approximately 1,200 mile stretch of small islands, atolls, banks, seamounts, pinnacles, shoals, and other emergent features, as a Particularly Sensitive Sea Area (PSSA). Proposed associated protective measures (APMs) have been submitted to the Sub-Committee on Safety of Navigation (NAV) which meets from 23 to 27 July 2007. Once these APMs are adopted by the Maritime Safety Committee (MSC), in October 2007, the proposed PSSA, with its associated protective measures, can be finally designated by MEPC 57. The associated protective measures include proposed amendments to the six existing Areas To Be Avoided (ATBAs), which were adopted by IMO in 1981 to protect eight of the NWHI, and the adoption of additional ATBAs around Kure Atoll and Midway Atoll as well as three other areas between islands. In addition, a ship reporting system will be proposed to provide critical alerts and other information to assist safe navigation in this area and to provide information on vessel traffic in transit through the proposed PSSA, to facilitate the ability to respond to maritime emergencies. Review of MARPOL Annex V The correspondence group on the review of MARPOL Annex V (Regulations for the prevention of pollution by garbage from ships) reported to the MEPC. The review takes into account resolution A/RES/60/30 of the UN General Assembly, which invites IMO to review MARPOL Annex V, in consultation with relevant organizations and bodies, and to assess its effectiveness in addressing sea-based sources of marine debris. The MEPC invited the correspondence group to continue its work and endorsed the preference of the correspondence group for a holistic approach so that a complete revision of Annex V, and its Guidelines, could be carried out without prejudice to a Party's right to bring proposed amendments to the attention of the Committee during the interim period. MARPOL Annex V, adopted in 1973, entered into force in December 1988. The aim is to complete the review by October 2008. Human element The Joint MSC/MEPC Working Group on the Human Element met during the session. The Committee approved, subject to approval by MSC 83, an MSC-MEPC circular on Guidelines for operational implementation of the ISM Code by Companies, intended to assist companies in the effective and efficient operational implementation of the ISM Code. The MEPC also approved, subject to approval by MSC 83, an MSC-MEPC.7 circular on Guidelines on qualifications, training and experience necessary for undertaking the role of the designated person (DP) under the provisions of the International Safety Management (ISM) Code. The Committee agreed with the joint group that there was a need to provide guidance to encourage companies and seafarers to document and record information on near misses and hazardous situations in order to understand the factors leading up to events that threaten safety and the marine environment. The format for reporting near misses will be considered by the next session of the group. OPRC-HNS implementation The MEPC considered the report of the sixth meeting of the OPRC HNS Technical Group, which met in the week prior to the Committee's session. The MEPC noted the agreement reached on hosting a Fourth R&D Forum in conjunction with the 2009 Interspill Conference, to be held in May 2009 in Marseille, France, on the theme of "the identification of HNS in the marine environment". The MEPC noted progress made in developing the draft Manual on oil spill risk evaluation and assessment of response preparedness; the draft IMO/UNEP Manual on the assessment and restoration of environmental damage following marine oil spills; the draft revised manual on oil pollution, Section I - Prevention; and the draft revised OPRC Train-the-Trainer course.